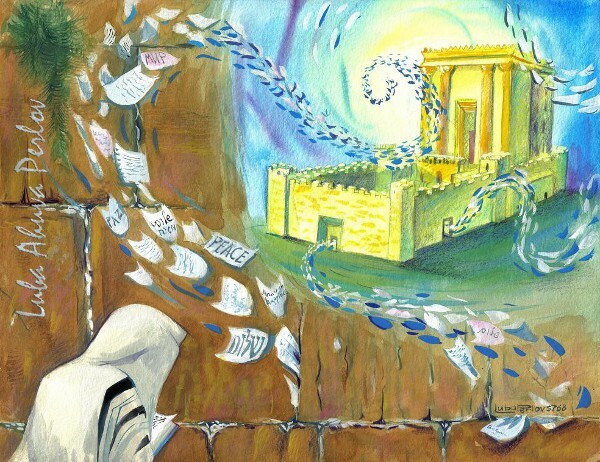 Let me “throw a monkey wrench” into this issue: If the Temple described in Ezequiel is the one that Yeshua will build when He comes back, then who will build the temple that jewish people are expecting to have and are ready to be built according to many videos being published in Internet? Jewish people, based on the Prophets, expect the Messiah to build the Temple, but Christians, based on the idea that the anti-Christ will rule from the Temple before Messiah returns, believes the Temple will be built sooner. I think the truth about the timing of the Temple is still up for grabs. I looked up the Hebrew for Ez. 45:22, and things are not so clear. The prince will provide on that day, away from, behind or on behalf of, through. This word, “b’ad,” is used twice in succession, in the first instance, “his,” is the object, “b’ado,” In the second use, ,”oo,” is the prefix, meaning, “and,” and the word is, “oo’b’ad. The rest says, “and all the people of the land, a bull, sin.” I know translators follow certain rules of interpretation, but I suspect there may be alternate methods. We know that one phrase may be separated from another phrase by hundreds or thousands of years, as eternity, where the Holy One dwells, is outside of time. We are still stuck in the Greek mindset of needing to figure everything out and put everything in a neat category. One day everything will be settled. As it is said, when Messiah comes, he will not only interpret the words of torah, he will interpret the spaces between the words. But scripture does not say the false messiah will rule from the temple; only that he will stand in the holy place and demand to be worshipped, and stop the offerings. We all know everything is moving into place for the temple, its priests and its korban, and I believe we will see it rebuilt in our day. Let me jump in here with another comparison between the desecration of the second Temple by Antiochus and the “abomination of desolation” represented by the anti-messiah halting the restored sacrifices that would only be re-started in some form of rebuilt Temple. 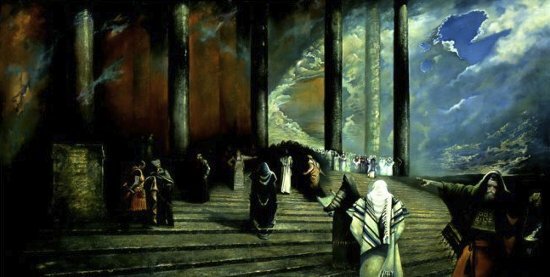 When the second Temple was initially rebuilt, there was some lamentation over the fact that its beauty and grandeur were not up to the standard of Solomon’s Temple (i.e., the first one). However, after cleansing and rededicating the second Temple at Hanukah, following the Antiochus desecration, an Idumean convert named Herod initiated a building program that included improvements to this Temple. It is not at all impossible that the third Temple will undergo a similar program of improvement at the hands of the true Messiah after he has dealt with the anti-messiah. By the way, since Yohanan’s reference to halting the sacrifices was written some two centuries after the Antiochus event, it must refer to a future recapitulation of the event in similar fashion and not be merely a statement about something that had been done already. That could easily have been fulfilled by Antiochus IV so we don’t even need to look into the future for that one. On that day, the prince shall bring a bull sin-offering for himself and for the entire people of the land. So either the prince isn’t the Messiah or the Messiah will need to bring a sin-offering for himself and the people for a reason besides the fact that Messiah literally sinned. So somehow, we’ve gotten something very wrong between the way the Prophets describe the Messiah and how the Apostolic Scriptures describe Jesus. Thank you again for your thoughts! This certainly does bring up some questions. My pastor too this Sunday brought up some interpretations that twist the word. He was referencing Jer. 31:31, saying that “Israel” is the church. And then he gave an inaccurate explanation of covenant, implying that the Abraham covenant was no longer valid with the institution of the Mosaic covenant, etc., as if they were wills. Oy vey! Anyway, your blog is very encouraging because it reminds me I am not the only one in that position. Thank you! Shalom. I believe Antiochus is a type of the false messiah. But there was no covenant with many, or a broken covenant 3 1/2 years in. It doesn’t have to be an either or. We see as through a glass. Hebrew is such a sparse language, that meaning has to be determined by context. I am not a scholar, but to me, things are not clear. I understand that you can’t have a bible 10,000 pages long, which might be the case if every possible meaning was provided. Remember, Hebrew thinking can hold apparently contradictory thoughts in tension. If you don’t read Hebrew, you can look up the word for word translation on BibleHub (which is easiest for me) or another internet tool site. 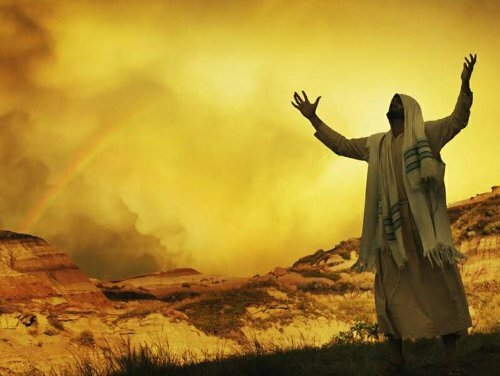 Thinking ‘out loud’ on the verses that say He will offer a sin offering… While He is the atoning sacrifice, He is also the One who will teach torah from Zion… so the instructions of the Father will not have changed. Therefore, in obedience, to Torah He offers the sacrifice that functions as a memorial offering, much in the same way we celebrate Pesach now… as a two-fold memorial. He can be sinless and still be a perfect example that obeys the sacrificial requirements of torah. Oops! I just noted an ambiguous statement in my last post that falsely implies that Herod had something to do with Hanukah. It should have read: “However, some years after the Maccabees cleansed and rededicated the second Temple … Herod initiated a building program …”. Ah, some of the best comments come in while I’m asleep, or at least trying to sleep. The main idea of this blog was to compare how I experience the Hebrew texts with how Christianity, in this case represented by the Sunday school class I attend, understands those texts. It seems that in order to fit the Messianic prophesies found in the various prophets in the Tanakh with the modern, Protestant view of Jesus, some rather creative interpretations have to be employed that don’t seem to quite jibe with how both ancient and modern Jews read those Messianic passages. I’m trying to understand if it’s at all reasonable for Christianity to read into those text what they want to because the New Testament modifies their meaning/interpretation, or if Christian doctrine is just getting in the way of seeing the Messiah with “Jewish eyes,” so to speak. I realize I’m over generalizing, but I got this really uncomfortable feeling in my class last Sunday. I think the church, or at least some aspects of it, are being really dogmatic in forcing the Messianic prophesies to go in a particular direction. It seems to me that one of the biggest problems is that the interpretation of numerous prophecies by the apostles themselves was somewhat midrashic in nature; and they were looking backward from their experiences with Rav Yeshua and recognizing similarities between various passages and their experiences. Christianity, on the other hand, assumed that the entire purpose of such passages was to project forward in order to identify the Messiah predictively (i.e., as if the prophets were merely soothsayers). 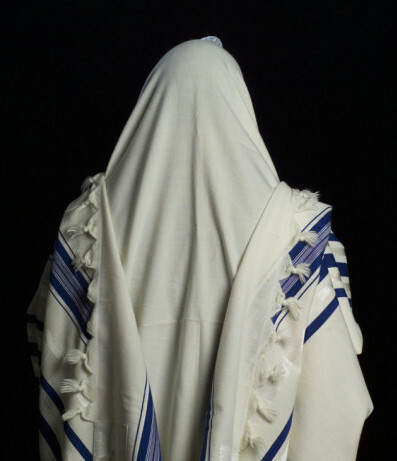 Hence Christian interpreters looked for anything that they might stretch to fit their presuppositions; and often they did so polemically in order to discredit Jews who either did not see Rav Yeshua in them or perhaps viewed them as having other applications. It’s also related to the problem of interpreting several angelic appearances or the appearance of Melchitzedek as visitations of a “pre-incarnate Jesus”. It is a matter of projecting later doctrines back onto early texts; it is fundamentally eisegetical and thus it is not a reflection of the actual textual meaning or even its midrashic implications. Hence your discomfort with such proof-texting seems quite justifiable; and at least some of the texts in question are being misinterpreted and misused. That’s also the tough part to communicate because some Christians have been using their form of interpretation so long, the tradition is now considered “fact.” Small wonder that many Christian missionaries can’t get through to Jewish listeners and why the Christian Jesus is unrecognizable to most Jewish observers. James, this is something I have been trying to get across, and it affects many issues. Who is wise? He who learns from all men. Pirkei Avot. I find the different sides do not even consider that the other side may have something worthwhile to say, or perhaps they are at least partially wrong and the other side is at least partially right. People seem so ensconced. I feel like I am an investigative reporter, in the midst of attorneys seeking to defend their client and attack the other guy’s client. They are not about gaining truth, but about proving and defending their case. If there isn’t an acceptance that the other side might have something to offer, there is no reason for the discussion. Investigative reporters are looking for facts. Philosophers and theologians are looking for truth. What’s in the Bible? Facts, truth, or both?